As New Yorkers who navigate our lives through a concrete jungle we have found a deep appreciation for the beauty of nature. Mountains, oceans, rivers and of course… Trees. Trees are the beautiful element of nature that we have decided to handcraft into each of our watches. All of our wood has been hand-selected from a premium exotic wood supplier. Each sample contains even grain, fine texture and vibrant color. 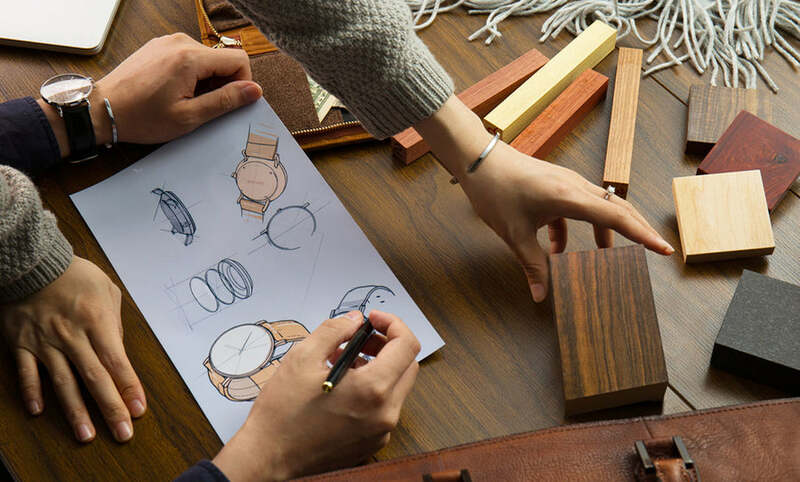 All together, these features produce a unique natural wood grain, giving each watch its own distinctive touch, just like your fingerprint. Wood Facts: The African blackwood is the “Holy Grail” of tonewood and chosen by prominent custom guitar builders such as Kevin Ryan to give their guitars a powerful yet crisp sound. Wood Facts: The maple is known as the national tree of Canada. For our watch, we picked sugar maple, which is the same maple species tapped for delicious maple syrup. Its pale color, fine grain and strength makes it a versatile wood for various projects and it enjoys an exceptionally long lifespan. Which one is your favorite? Don't forget to claim your offer of 15% OFF for your first order. Just apply the code HIGHLINE at check out. In the next email, we will walk you through our process of how our designs were transformed from two-dimensional drawings into physical prototypes.